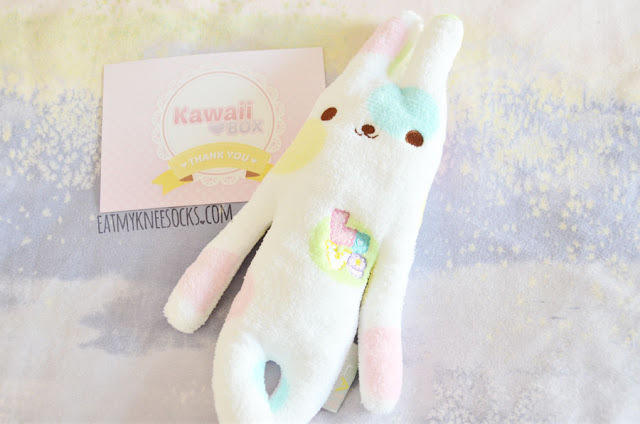 This is my second review of Kawaii Box, a monthly subscription service, owned by Blippo, that costs between $17.30 and $18.90 per month, depending on which plan you pick. 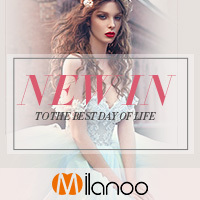 They have 1-month, 3-month, 6-month, and 1-year plans, so you can easily pick whichever subscription works best for you! 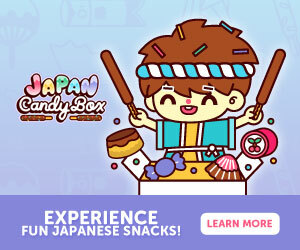 Each Kawaii Box is packed with 10-12 ultra-cute, hand-picked products from Korea and Japan, including stuff like stickers, stationery, accessories, candy, snacks, and more! 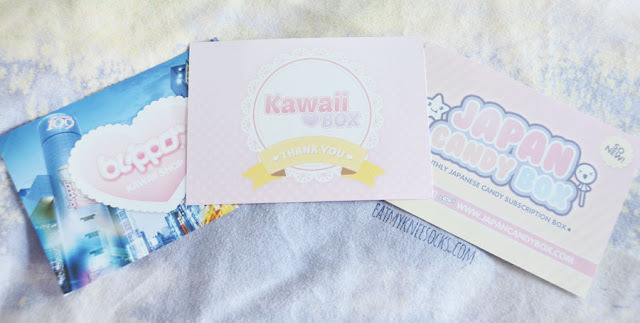 Not only are the items adorable, but the box itself is too, and each box comes with little flyers about Kawaii Box and related products, along with a card that tells you which items you got. 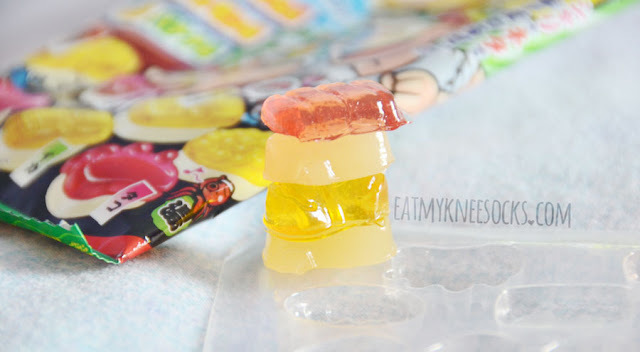 The first item in the October 2015 Kawaii Box were the Meiji DIY sushi bar gummies. These adorable candies, originally $2.90 on Blippo's site, come in various shapes and flavors, including cherry, lemon and banana. 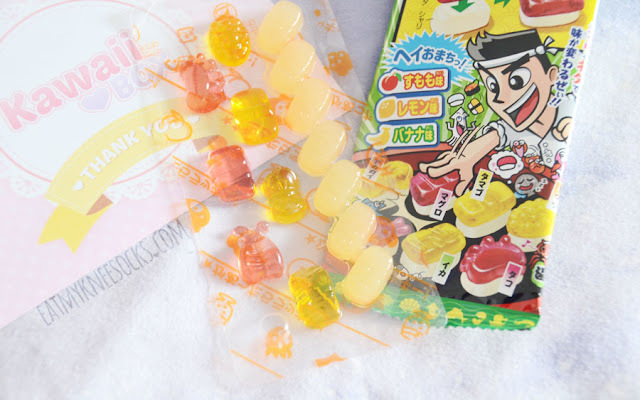 With all the different gummy fish and the set of rice-shaped gummies, it's like a tiny little sushi bar in candy form! 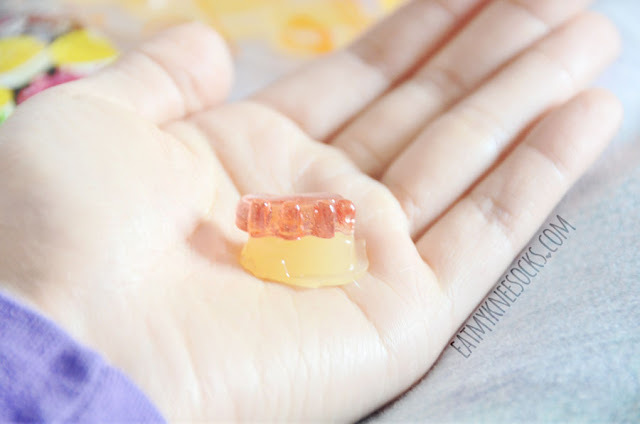 Not only are the gummy candies sweet, chewy, and delicious, but they're also super cute and fun to eat! 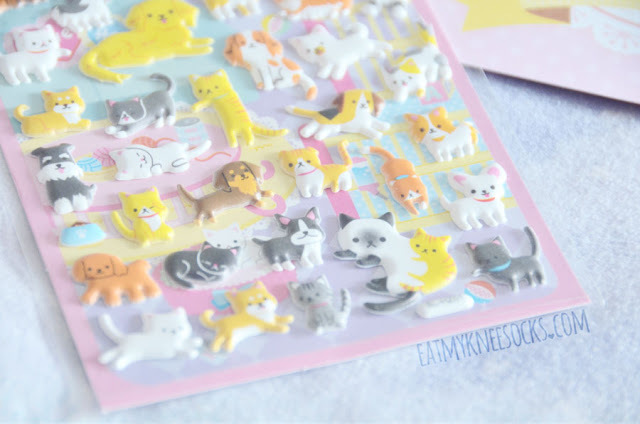 The second item was a pack of 3D animal stickers, which are sold for $1.90 in the Blippo store. I don't see stickers like these around usually, and they remind me of the cute 3D stickers I used to find in bookstores while I was in China. They're absolutely adorable and come in a variety of shapes, perfect for any animal fan! 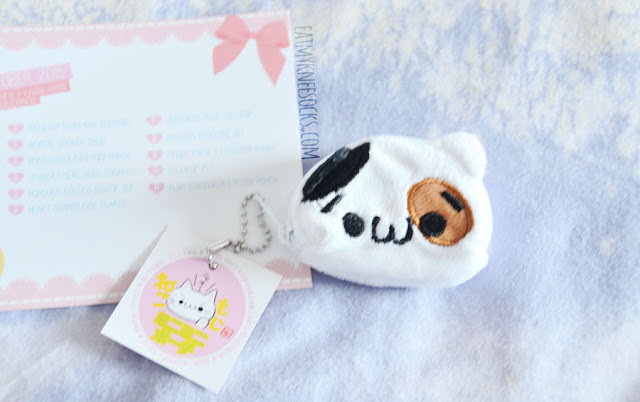 One of my personal favorites from the October 2015 Kawaii Box was the neko emoji mini pouch, This tiny, fluffy cat-shaped pouch, sold for $2.30, has a white zipper and ball chain, so that you can attach it to your phone or bag as a super-cute accent. 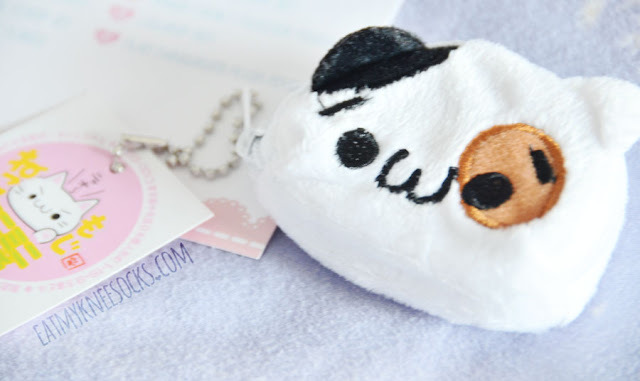 The pouch isn't super functional since it's so small, but it's lightweight, easy to carry, and incredibly adorable! 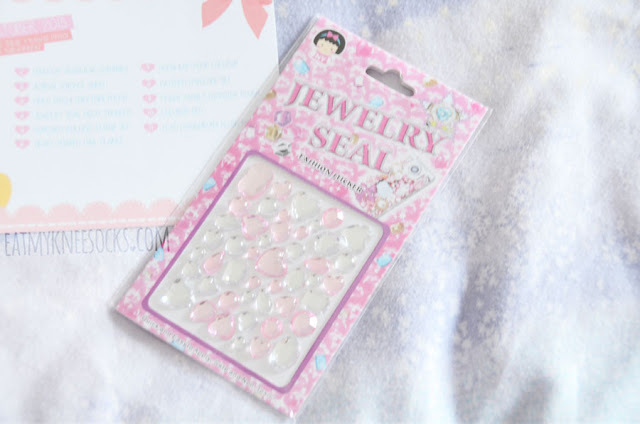 Next up are the fashion jewelry seal deco stickers, sold for $1.80. 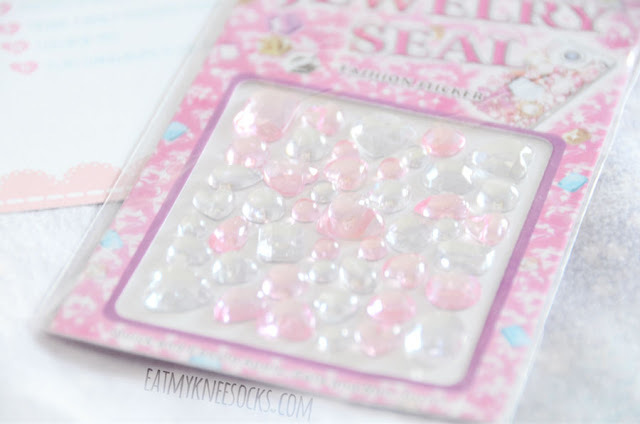 These shiny pink-and-clear diamond stickers are awesome if you like to decorate your phone cases and add a cutesy touch to nearly anything! I'm rather lazy so these aren't very useful for me, but if you're into DIY, these could come in handy. 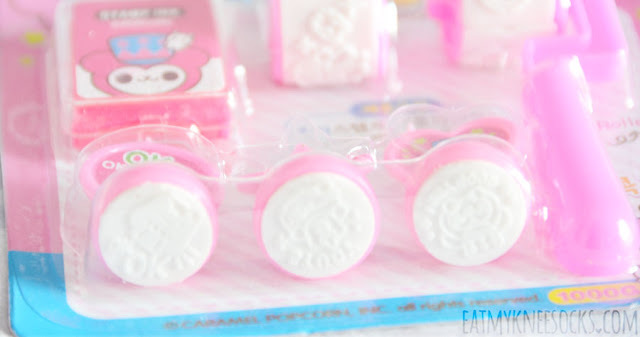 An interesting piece in the October 2015 Kawaii Box was the popcorn rolling stamp set, a $3.20 set that includes 5 different stamps and an ink pad. 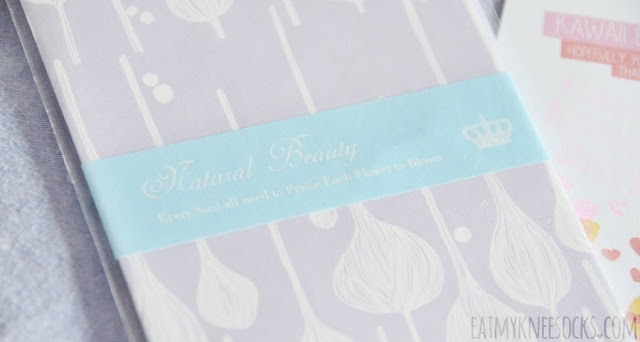 The packaging and design is adorable, and the stamps are great for decorating your letters, envelopes, notepads, gift cards, etc.! 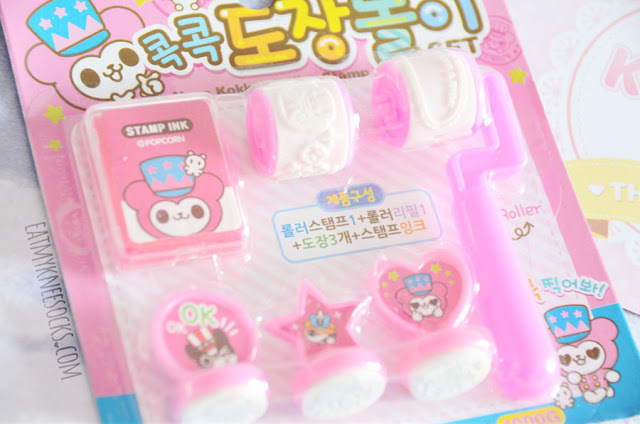 The stamps are very easy to use, and, like everything else in the Kawaii Box, super cute! 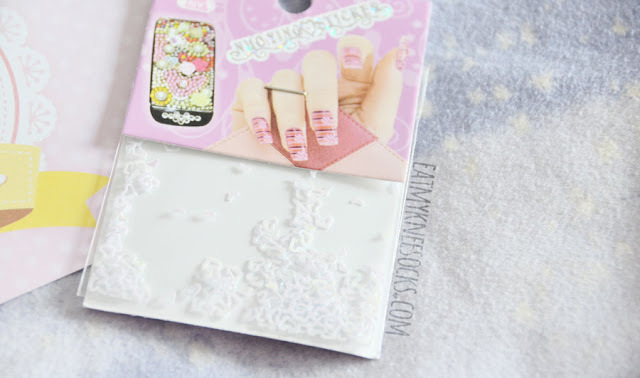 Next up is a product that's perfect for beauty lovers: the heart-shaped nail flakes. These shiny glitter flakes, sold for $2, are used to decorate your nails and bring your nail art to a whole new level. They come in white hearts, pink stars, and blue hearts; the one I received included the white hearts. 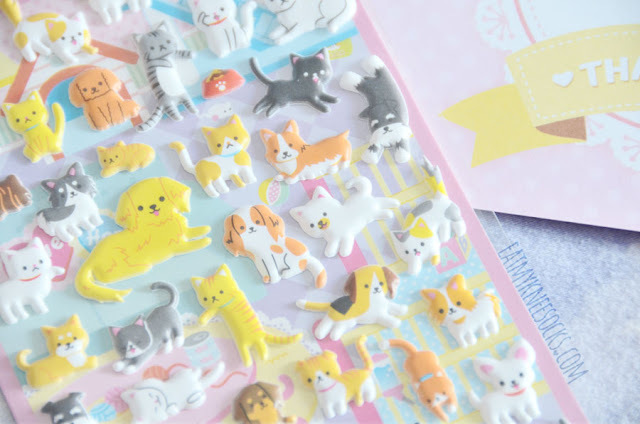 Of course, these aren't just for your nails; you can glue them onto virtually anything, adding that cutesy Japanese flair to whatever you wish! 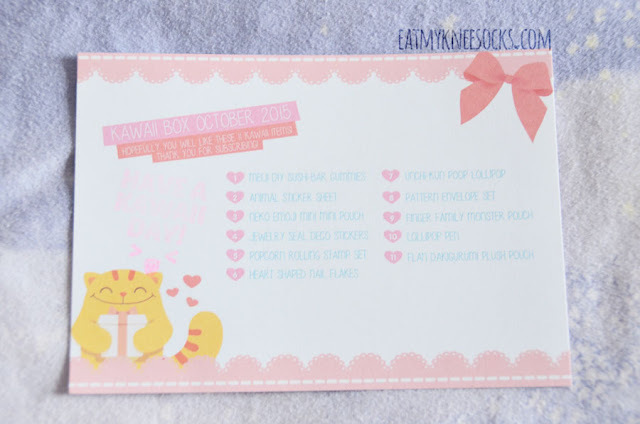 For all you stationery lovers, each Kawaii Box always comes with multiple stationery items, and the October box included a pack of patterned envelopes. These envelopes, sold for $1.60, are offered in various styles, and each set includes 5 envelopes. They're cute, but not very durable, so you have to be careful when using them. 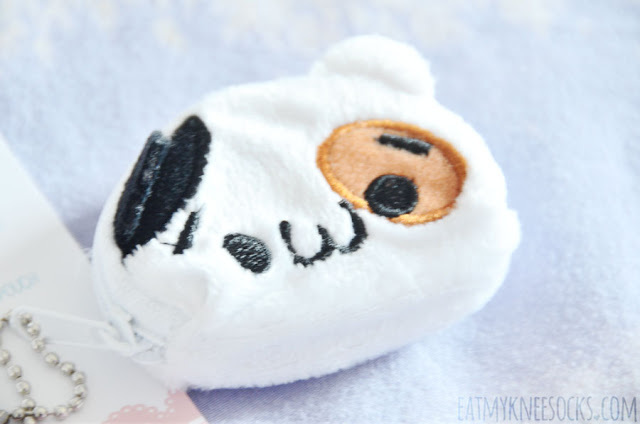 There were quite a few bag/pouch-like items in the October 2015 Kawaii Box, including the Finger Family monster face plastic pouch, sold for $1.80. This small, brightly-colored pouch is the perfect size for carrying cards, and the design is simple yet fun. 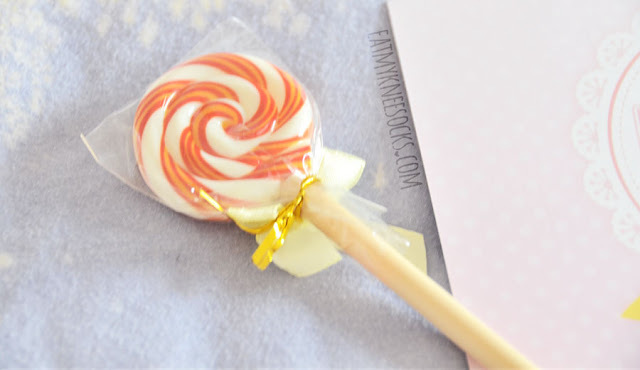 The tenth item in this Kawaii Box was a lollipop pen, sold for $1.80 on Blippo's site. This ballpoint pen has black ink and writes smoothly, and the lollipop-shaped top isn't too heavy as to make it difficult to balance the pen when writing. 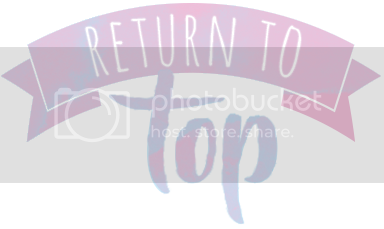 It's both functional and adorable, making it one of my top picks from this box! 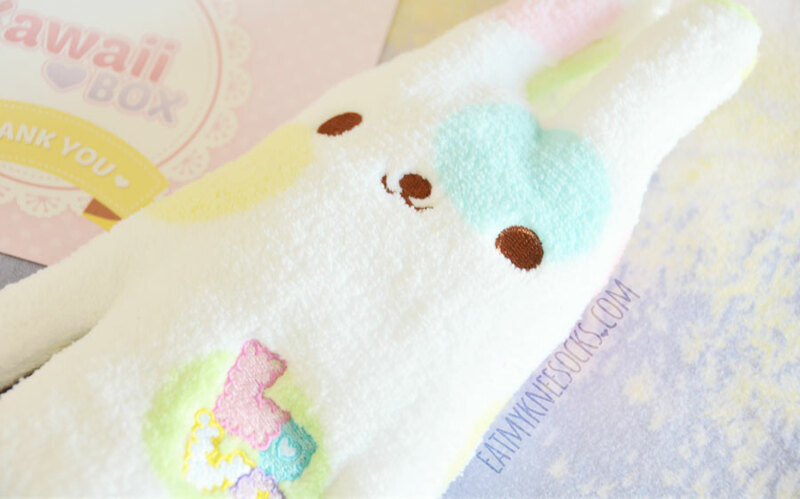 And last but certainly not least is the Flan Dakigurumi fluffy plush pouch. 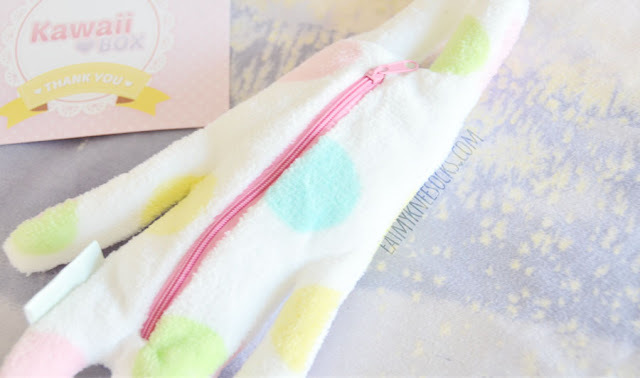 This soft, cute rabbit-like Flan pouch has a colorful pastel polka dot print, along with a zipper in the back for you to store pens, pencils, makeup, candy, or any other small items. 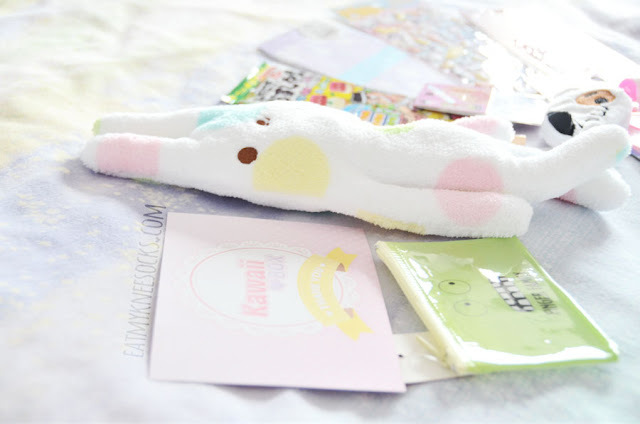 Blippo offers various other Flan plushes and accessories, and this particular pouch costs $10.30 from their store. It's honestly my favorite piece; it's basically like a plush toy, but with an added function of carrying small items. 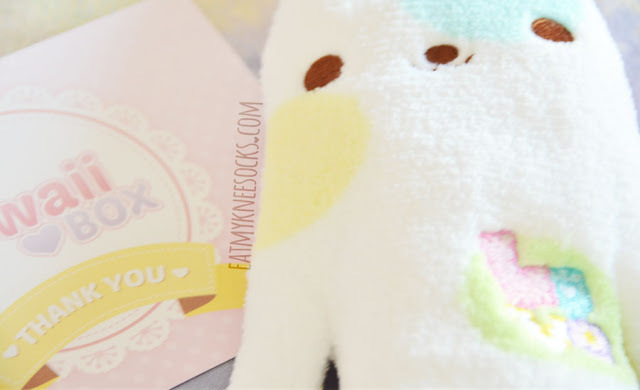 Whether you use it as a makeup bag, pencil bag, or simply as a plush, it's too adorable to pass up! 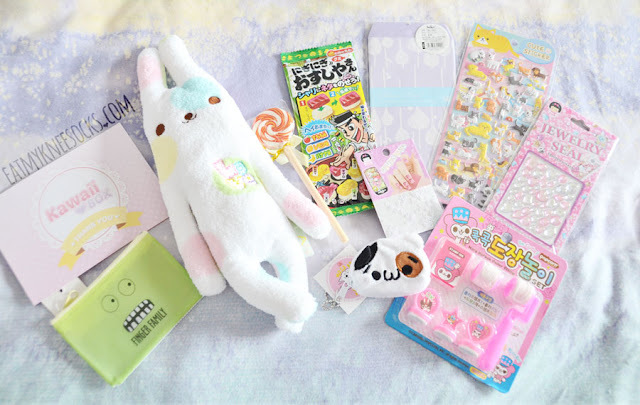 In total, the prices for the 11 items in the October 2015 Kawaii Box add up to a value of $30.80, while the box itself costs only $17.30-$18.90 (depending on which plan you pick) with Kawaii Box's free worldwide shipping! 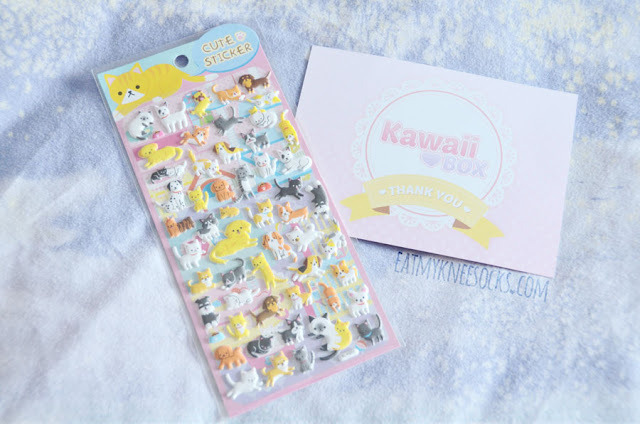 Once again, Kawaii Box has impressed me with it's carefully-crafted selection of stationery, accessories, and candy, all of which live up to and exceed my expectations for kawaii-ness! 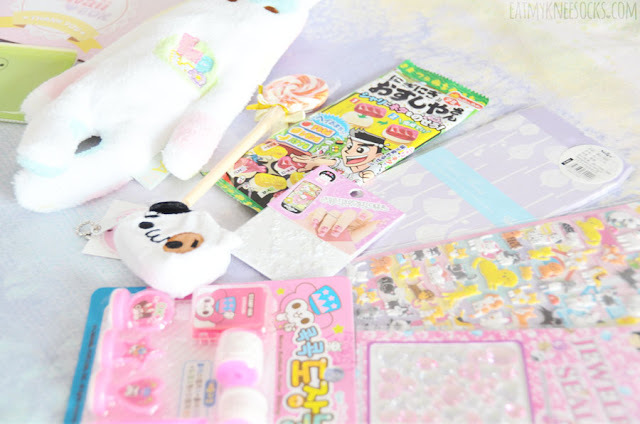 Although a lot of the DIY, decoden, and stationery-type products aren't necessarily items I'd use too often, everything about the Kawaii Box is undoubtedly adorable, and just seeing the cute packaging and products puts a smile on my face! 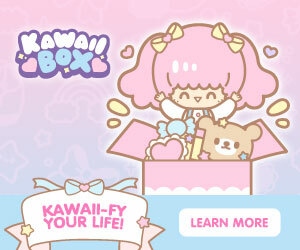 So if you're a fan of ultra-cute things or if you know someone who is, check out Kawaii Box! 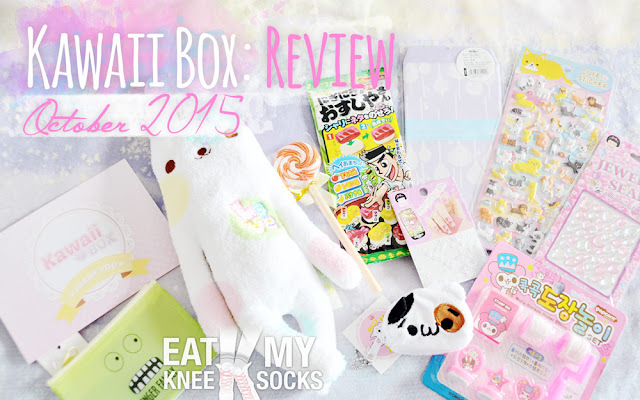 For more information, feel free to read my previous Kawaii Box review! Hi. 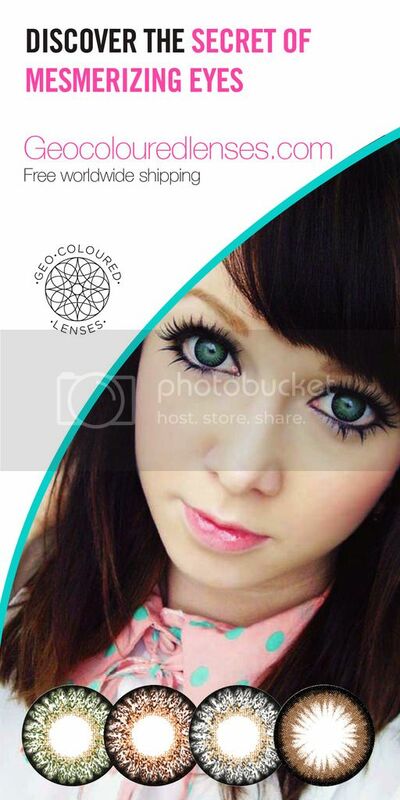 I follow you on Instagram from both my personal and blog account. I love your blog. I was wondering if you could check out my blog and tell me what you think of it. I would greatly appreciate it! 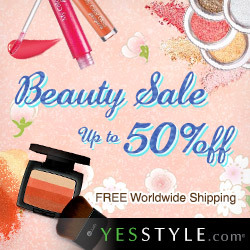 my blog is beautygotlazy.blogspot.com thank you! 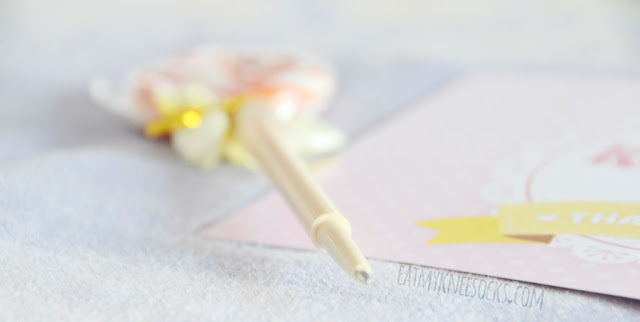 Only just discovered ypur blog and cant believe how much i love it! 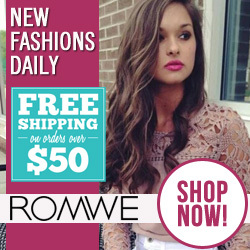 Your style is so perfect and i love readig your reviews and blog posts please keep blogging!